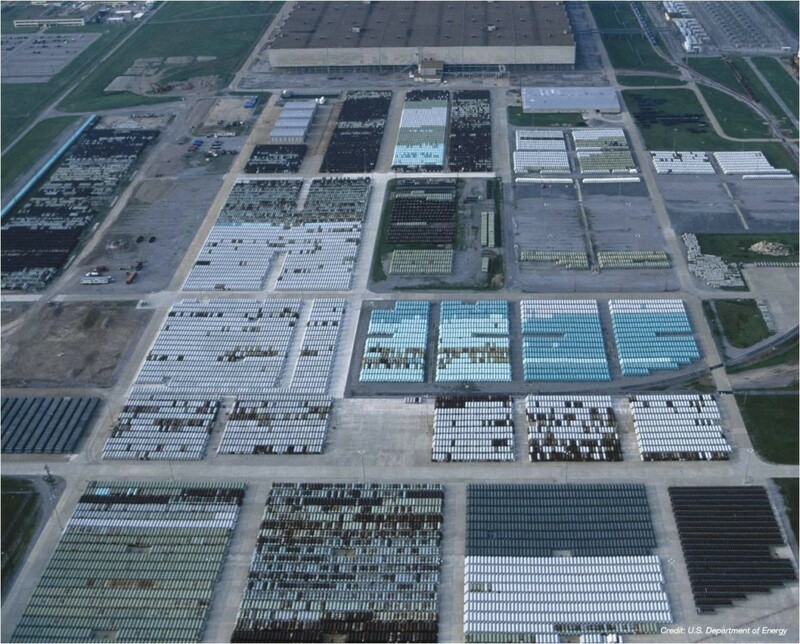 Paducah, Kentucky, is home to USEC, a Department of Energy uranium enrichment facility that operated for 50 years until being decommissioned in 2013. Just across the Ohio River lies the Honeywell corporation’s Metropolis Works, the nation’s only uranium conversion plant. Former State Sen. Bob Leeper thought it made sense to build on that existing capacity. So he introduced a bill to end the state’s decades-old moratorium on nuclear power. That was ten years ago. It was up to his successor, Sen. Danny Carroll, to push the Leeper Act over the finish line. Today, however, the energy marketplace is dramatically different than it was when Leeper first introduced his bill. Cheap natural gas and clean renewable sources attract utility industry investment and the U.S. nuclear market is moribund. But Carroll said he’s not giving up on nuclear power’s prospects. 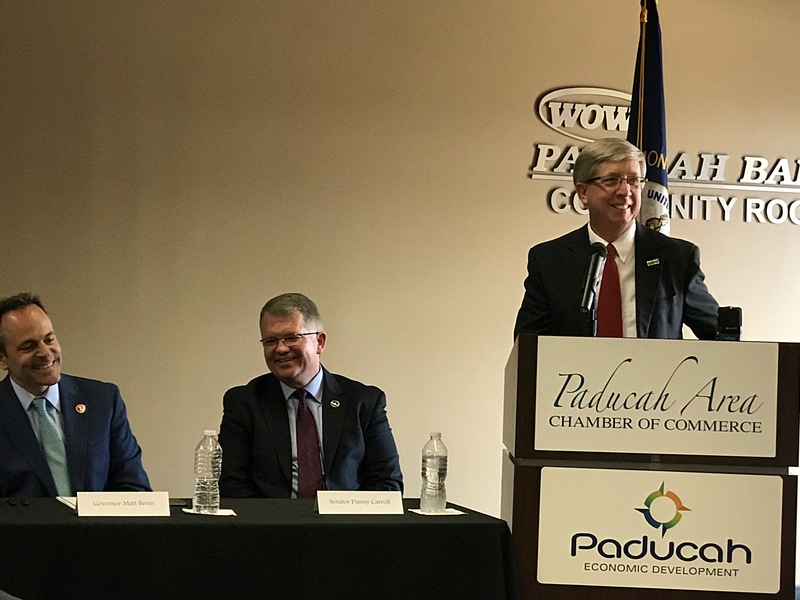 Leeper, Carroll, and other industry boosters hope the aging and contaminated nuclear facility in Paducah might someday help U.S. nuclear energy and the regional economy get back some of its glow. Coal has long been king in the Ohio Valley, but the region is also home to an established and globally connected nuclear industry. The area has no nuclear power plants but Paducah has long been a hub for trucking, shipping and temporarily storing fissile materials used to power a global nuclear market. Materials that help fuel reactors in Europe and Russia travel via Paducah. For example, data from the WISER Trade site, maintained by the World Institute for Strategic Economic Research, show that 66 percent of all uranium-related products the U.S. shipped to Russia’s enrichment facilities last year were exported via Kentucky. TAM International, a Canadian freight forwarding company, holds the U.S. export license on those materials. The company moved its U.S. headquarters to Paducah two years ago. “What Tam usually deals with is what we call the front end of the fuel cycle,” explained Steve Hansen, vice president of regulatory compliance for TAM. Hansen said the company is licensed to transport UF6, or uranium hexafluoride. TAM takes materials from the nearby Honeywell facility, where raw uranium is converted to nuclear fuel precursor. The material is then ready to be shipped to one of TAM’s clients, usually overseas. Hansen said while the U.S. market is stagnant, the export market is growing. The USEC facility in Paducah, originally known as the DOE’s Paducah Gaseous Diffusion Plant, was long an important source of employment for the area. More recently, however, it’s the source of concern about contamination and the scene of a massive and costly cleanup. TAM’s decision to relocate to the region gives hope to industry boosters that the now-idled facility might once again generate jobs. Other companies have expressed interest in the region, including General Electric and a company Bill Gates owns called Terra Power. “Terra power claims that there is enough material in Paducah today to fuel this entire country for in excess of 700 years,” Carroll said. That material Carroll referenced is the depleted uranium now housed in special storage containers at USEC. Terra power owns technology to turn it into useful fuel. Last year the DOE announced an agreement to sell depleted uranium from the Paducah facility and a similar site in Portsmouth, Ohio, so that GE might construct a cutting edge laser enrichment facility. Supporters like Leeper and Carroll hope that could mean the area is sitting on a gold mine of spent uranium. WKU Public Radio reporter Rhonda Miller contributed to this story.